From Katsina to Bayelsa, from Kwara to Adamawa, hundreds of thousands of people have suffered from the recent flooding. This is what climate change looks like in Nigeria. This is not just a natural disaster, but a result of the build up of green house gases in the atmosphere – especially carbon dioxide. Partly as a result of the government continuing to allow gas flaring in the Niger Delta. We have always suffered from flooding, but climate change is making this worse and means the floods come more frequently. The last bad floods were in 2012. But now, only six years later, we have floods that used to take place only every few decades – and we can expect more in the years to come. The build up of carbon dioxide in the atmosphere is mainly due to the burning of coal and oil in the industrial countries. But the activities of companies in Nigeria are making things worse. Gas flaring in the Niger Delta is the most significant contribution to climate change in the whole of sub-Saharan Africa. Widespread use of generators and car exhaust fumes are also making things worse. Poorly regulated importation of Tokumbo vehicles is aggravating the situation. We know that climate change has altered the seasons so the farmers no longer know the best time to sow their seeds. The rains are no longer predictable. The rainy season does not start regularly, it can start and stop so the farmers’ crops are destroyed. It is also raining during what was the dry season – so this rain is wasted and cannot be used to irrigate crops. This is a result of temperatures rising due to the rise in carbon dioxide in the atmosphere. The scientists say that average global temperatures have already increased by at least one degree since the second half of the nineteenth century. At the Paris Climate Conference in December 2015, most governments in the world agreed to try and limit global warming to 1.5 degrees. But early this year the UN issued a warning saying that more needed to be done and indicating that allowing the temperature to rise by two degrees would make things much worse. It would lead to more extreme weather conditions and sea level rises in the years to come. This will lead to continued problems with water availability – as with the drying up of Lake Chad; extreme weather conditions including flooding; and adverse effects on human health including the spread of malaria to areas that were free of this disease in the past. As a result of these changes, the UN expects increased pressure for human populations to migrate and the greater possibility of war. We are already seeing these impacts across Africa where the effects are expected to continue to be much more catastrophic than in Europe. 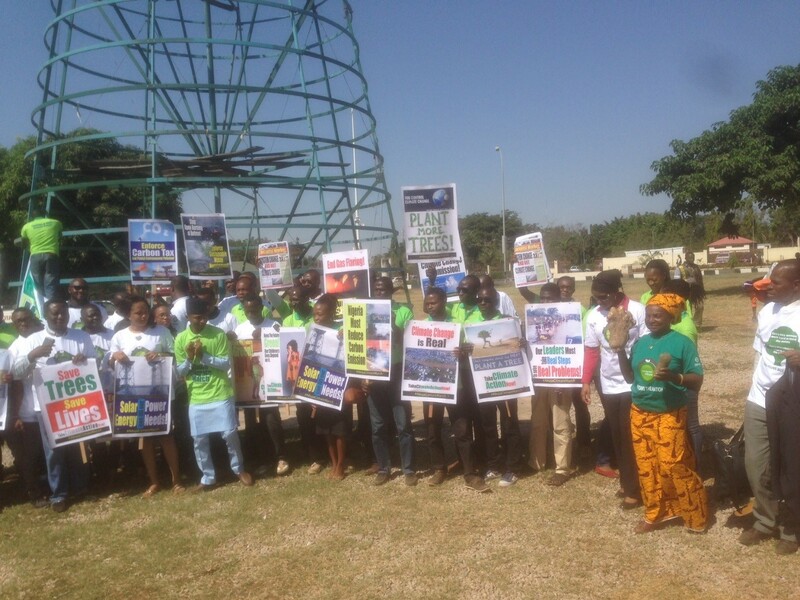 A recent survey found that 65% of Nigerians are already very concerned about the threat of climate change. This is not surprising when, in addition to flooding, the North faces severe droughts. Lake Chad is only one twentieth the size it was in the 1960s and the Niger Delta could lose over 15,000 square kilometres of land to the sea by the year 2100 – resulting in 80% of the population of the region being displaced. Despite these horrors, the plans submitted to the Paris conference by the Buhari government only included an undertaking to “work towards ending gas flaring by 2030”. This activity has been generally illegal since 1984. It was to be stopped again from 2008, but the former government actually stopped imposing fines for gas flaring from December 2014. Another major move in the fight against global warming would be for the majority of women who still depend on the traditional ‘three-stone fire’ to use kerosene or even cooking gas from gas that would otherwise be flared. This would be of immediate health benefit to millions of women and contribute to reduced global warming by reducing the use of trees as firewood. But the government has allowed the price of kerosene to explode and so many people are now returning to traditional methods, and even burning polythene and other things, as they can no longer afford to buy kerosene. The government should only provide operating licences to oil companies that stop gas flaring. If the gas was then transported to electricity power stations this could double the supply of electricity to homes and so greatly reduce the use of generators. 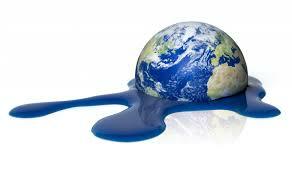 If the government takes proper action against the oil companies then we can reduce the impact of climate change. 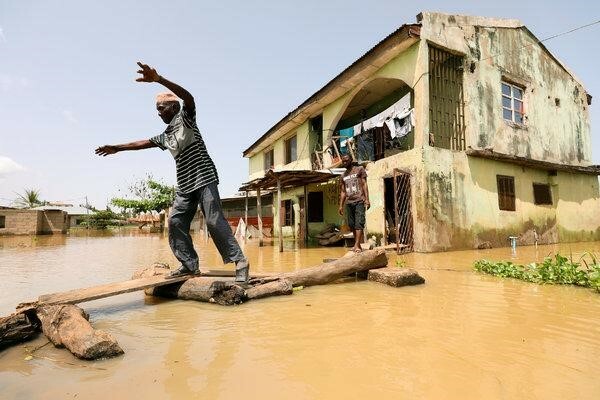 Flooding is what climate change currently looks like in Nigeria – we can expect much worse in the future, if the Nigerian government does not take appropriate action.